When you were a little girl you dreamed of finding your prince just like in the fairy tales. And in those sweet dreams, he would come with a ring and that precious stone to declare his love to you forever. Now the day has come and this gem will be the center theme of your wedding celebration. It doesn't matter if you have an indoor or outdoor celebration, or the time of year the wedding will take place. A celebration based on diamonds is always glamorous, elegant and timeless. Nothing says romance and everlasting love like diamonds! This theme has a very unique setting, that focuses on the jewel, crystals and glamour. 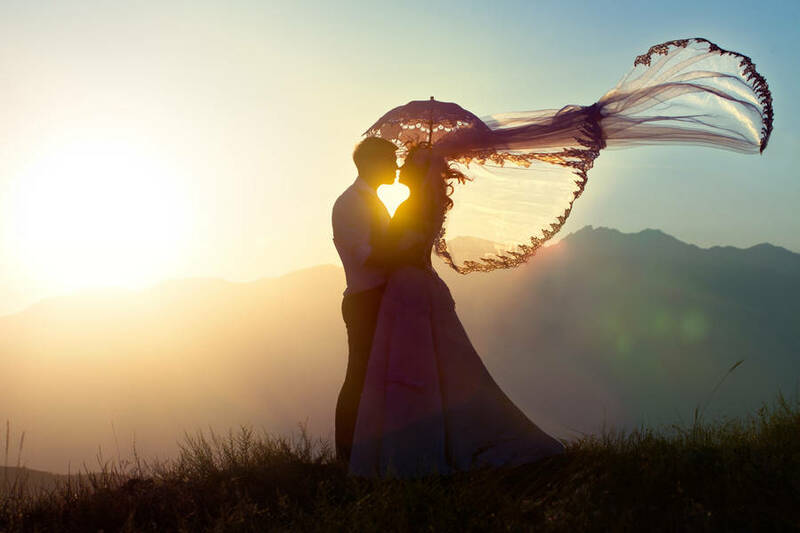 However, it is also a favorite for couples who are celebrating their 60th wedding anniversary. And invitations for this event are inspired just by these elements. Designs usually highlight the jewel, wedding bands with a diamond accent or couture timeless designs full of color and sparkle. You want to create and set the ambiance with touches of shine and glam. Your wedding look will be truly classy and romantic. Try to add fake diamonds anywhere you can, and nowadays it is not really difficult to do. You'll find almost every accessory in diamond shapes—napkin rings, cake serving sets, even unity candles come detailed with it! If you don't want to go with all the accessories (I know it can turn into a budget problem,) just set a classy table and only spread clear diamond-shaped table jewels to set the mood for this theme. You can decorate the vase of your floral arrangements with strands of fake crystals or adhesive ones. You could set a mirror with rock candy as a centerpiece to resemble the diamonds in their natural form. Another idea is to set a glass bowl with crushed ice with a big flower of your preference on top. The ice will resemble the diamonds and when it melts you'll have a floating flower arrangement. You could also use diamond shaped candle holders as centerpieces. Make your cake match the theme by decorating it with fake diamonds or crystals. Or take this design by Let Them Eat Cakes as your inspiration. 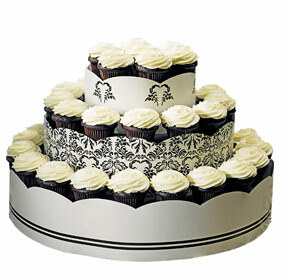 Another way to make your sweets theme appropriate is by using a Swarovski cake topper, or even diamond themed cupcakes! There's no specific dress style for a diamond wedding theme; I think the theme itself says it all. A dress with crystals embellishments or a simple one that you can and add crystal accessories to is a perfect match for the theme. Your tiara and jewelry should be fitted with the theme as well. For an original twist when it comes to your attire, you could have a crystal bouquet instead of a floral one. You could buy one or make your own. Key chains, magnets, paperweights, bottle stoppers and more can be found in the diamond shape. And here is another creative option. Let your guests be delighted to get a diamond-cut crystal paperweight as an original wedding favor.